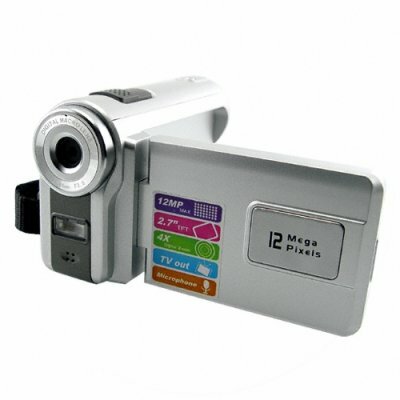 Successfully Added Fast and Easy Entry Level Camcorder to your Shopping Cart. Entry level digital camcorder for low wholesale price. If you have the desire to take good quality home movies, but not the know-how, this is a camcorder that will get your attention. 640x480 resolution movies at 30fps in AVI format, 5 mega pixel native still photos in JPEG, SD card port for easy hot swapping of memory, and a host of other features all combine to make this a perfect gift for a budding cameraman or anyone looking for a camcorder to take with them on long trips. Don't forget that buying in bulk will get you an even lower wholesale price, making this a item perfect for your own Ebay storefront for some sure fire high profit sales..